LONDON — Russians have “set up shop” in Scotland as it weighs a vote on independence from the U.K., a senator warned Wednesday at a congressional inquiry into the role of Google, Twitter, and Facebook in election interference. 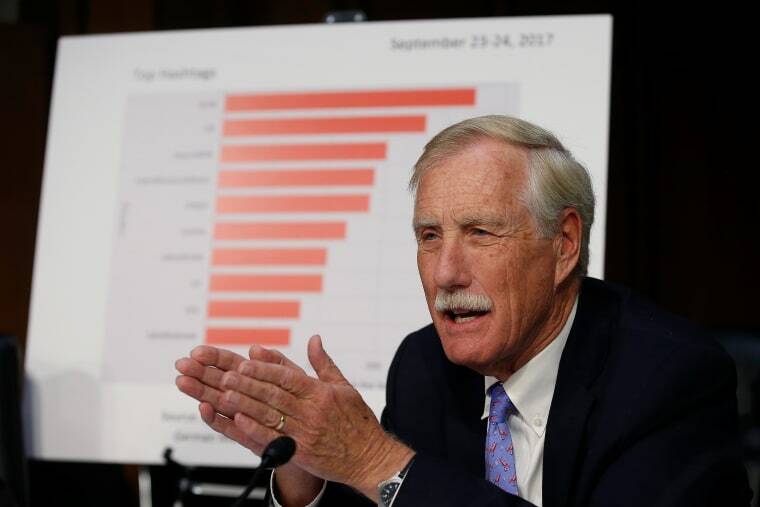 “It’s not only us it’s the entire West,” Sen. Angus King, I-ME, told the Senate Select Committee on Intelligence, which is investigating Russia-linked propaganda on social media in the 2016 election. More than 150 million Americans were exposed to Russia-linked material on Facebook and its sister platform, Instagram, in the run-up to President Donald Trump’s victory, the tech giant admitted during Wednesday’s evidence. King told the hearing that Russian “information warfare” was not limited to the United States and was ongoing. “It hasn't stopped and it won't stop,” he said. “It’s still happening. We know the Russians were involved in the French election. We know that they were involved in the German elections." He did not elaborate on his comment about Scotland, but he may have been referring to the 2015 creation of a new base in Edinburgh for Kremlin-owned media outlet, Sputnik. 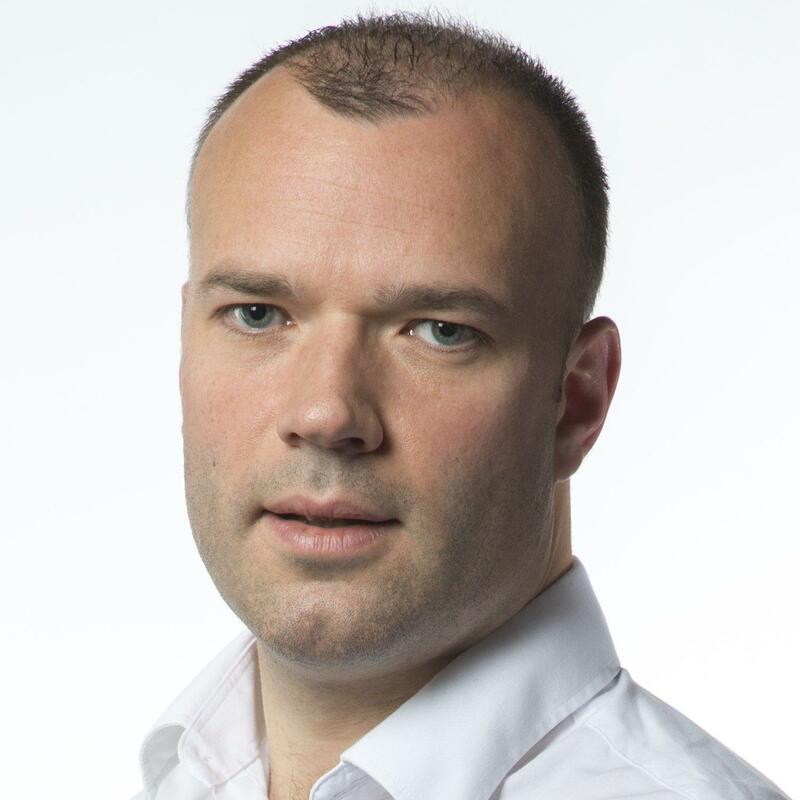 A senior British lawmaker said Thursday he would demand answers from Facebook on whether Russians were using the social network to sow discord in Scotland. Damian Collins, chairman of a British parliamentary committee that is already investigating fake news and Russian online propaganda, said: "We are interested in any political activity on Facebook in the U.K. which has been driven by Russian-backed organizations. We will certainly be asking Facebook about this as part of our inquiry into the power of fake news to disrupt our democracy." Britain's Electoral Commission is reportedly already investigating whether Russia interfered in the 2016 Brexit vote that rocked the European Union. However, British Foreign Secretary Boris Johnson on Wednesday said he had seen no evidence of Russian interference in British elections or referendums so far. Lawmakers believe Russian internet trolls are using divisive issues in other nations in order to magnify social conflict and weaken governments. In September, Facebook acknowledged hundreds of fake accounts, probably run from Russia, spent about $100,000 on ads aimed on issues such as gun control and race relations during the 2016 U.S. presidential election. Sen. James Lankford (R-OK) also said Russian troll farms were hashtagging "take a knee" and "boycott NFL" to amplify the NFL protest issue. He said the effort involved "taking both sides of the argument" to increase divisiveness in the country. Formerly known as Voice of Russia, Sputnik says it “covers global political and economic news targeting an international audience,” and has repeatedly denied it is trying to destabilize the U.K.